If you want to surf better, think of it like a job ... with really good pay. Andrew Marr mountaineering at Dungeons. 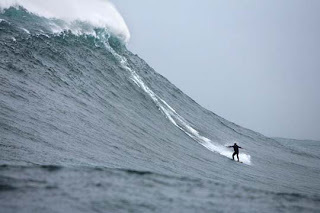 This wave won him second place in Billabongs XXL 'The Ride Of The Year' 2006/7.